The group Pearls Before Swine begin recording an album called "One Nation Underground". One of the tracks on the new LP is titled "Miss Morse", which popular New York Disc Jockey Murray The K plays on the air on his radio program. Local area Boy Scouts realize that lead singer Tom Rapp was singing F-U-C-K in Morse Code and call the station to complain. The record is immediately banned in New York City … and these guys are pretty much never heard from again. 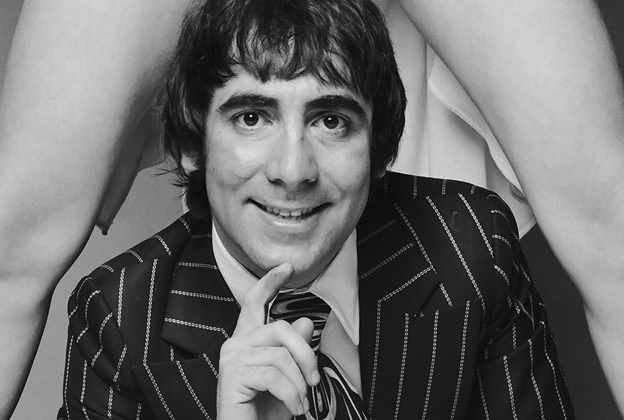 In the popular UK Melody Maker Magazine, Who Drummer Keith Moon offers this bit of advice to young drummers looking to improve their game … "To get your playing more forceful, hit the drums harder." Incredibly, Moon was considered at the time to be a drumming God and genius … so young, hopeful drummer wannabes probably took his sagely advice to heart. However, in today's day and age, we would most likely follow that statement with "Thank You, Captain Obvious." The Monkees kick off their new tour with a performance at The W.S.U. Field House in Wichita, Kansas. Hot-shot debuts on the chart this week include "Do It Again, A Little Bit Slower" by Jon and Robin, which premiers at #79 and "Come On Down To My Boat" by Every Mother's Son. Convicted Murderer Richard Speck is sentenced to death by electric chair for the murder of eight student nurses here in Chicago on July 14, 1966. The thought of Speck being loose running the streets of Chicago after committing such a heinous crime terrorized the city until his capture three days later. I vividly remember photos of his "Born To Raise Hell" tattoo being shown in newspapers and on television. Speck's death penalty conviction was overturned in 1971 and he died in prison twenty years later from a heart attack. In 1978 he was interviewed by FH Reader and noted Chicago Tribune journalist Bob Greene, during which time he confessed to the murders for the very first time. The Turtles receive a gold record for their #1 Hit "Happy Together". It is their first gold record award … but they'll go on to receive another one later this year for their follow-up hit, "She'd Rather Be With Me". Just outside The Top 40, "Mirage", the brand new one by Tommy James and the Shondells, climbs 34 places from #76 to #42 and "Him Or Me - What's It Gonna Be" by Paul Revere and the Raiders is up 28 places from #71 to #43. Other big movers of ten positions or more include "Sunshine Girl" by The Parade (#58 to #44), "All I Need" by The Temptations (#85 to #50), "Too Many Fish In The Sea and Three Little Fishes", another medley-hit by Mitch Ryder and the Detroit Wheels (#78 to #52), "Six O'Clock" by The Lovin' Spoonful (#81 to #54), "Live" by The Merry-Go-Round, an early group effort by Hawthorne, California's Emitt Rhodes (#79 to #68), "Can't Seem To Make You Mine", up 20 places from #89 to #69 for The Seeds, "The Oogum Boogum Song" by Brenton Wood (#83 to #71), "A Beautiful Story" by Sonny and Cher, which takes a big leap from #99 to #72, followed by "Another Day, Another Heartache" by The Fifth Dimension, which climbs from #98 to #73 and "Its' All Over Now" by The Casinos (#97 to #75). The Walker Brothers officially disband. Not really brothers, Los Angeles trio Scott Engel (who recorded as Scott Walker), Gary Leeds (who recorded as Gary Walker) and John Maus (who recorded as John Walker) had a much more successful career in England (where they had ten Top 40 hits and then each "brother" also enjoyed solo success after the breakup) than they did here at home. (In fact, in search of chart success, the trio MOVED to England in 1964, leaving many fans … and journalists … to include them as part of The British Invasion.) Their two big American hits were written by two of the most prolific and successful songwriting teams of the '60's … "Make It Easy On Yourself" (#16, 1965, and also a hit for Jerry Butler and Dionne Warwick) was written by Hal David and Burt Bacharach while "The Sun Ain't Gonna Shine Anymore" (#13, 1966) was written by Bob Crewe and Bob Gaudio (and first recorded by Frankie Valli). Both of these records went to #1 in The UK where The Walker Brothers were teen idols. Capitol Records officially announces that the next Beach Boys album, "SMiLE", will not be released as planned. Brian went through what can best be described as an emotional and mental breakdown trying to complete the tracks that he had been working on for close to a year. For nearly 35 years Brian maintained that he destroyed the SMiLE tapes … but in 2004, the album was finally released in a deluxe format, reconstructing the original vision of the track line-up plus TONS of outtakes and alternate versions, instrumental and backing tracks, isolated vocals, etc. 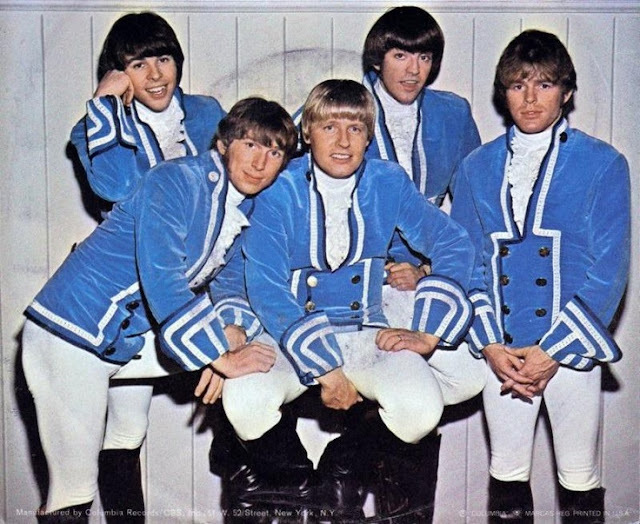 Brian and his new band even toured the world performing "SMiLE" in its entirety, just as he had done a few years before with his "Pet Sounds" tour. The Toronto Maple Leafs win The Stanley Cup. To date, it is their last Stanley Cup appearance. In fact, they have not made the finals since! Nancy and Frank Sinatra return to the #1 spot this week with their killer duet "Somethin' Stupid", dropping The Monkees to the #4 position. Jumping up three spots each, to #2 and #3 respectively, are "The Happening" by The Supremes and "Sweet Soul Music" by Arthur Conley. Mega-hits "Happy Together" by The Turtles and "I Think We're Alone Now" by Tommy James and the Shondells hold down the #5 and #6 positions as The Buckinghams return to The Top Ten with their latest, "Don't You Care", up from #11 to #7. 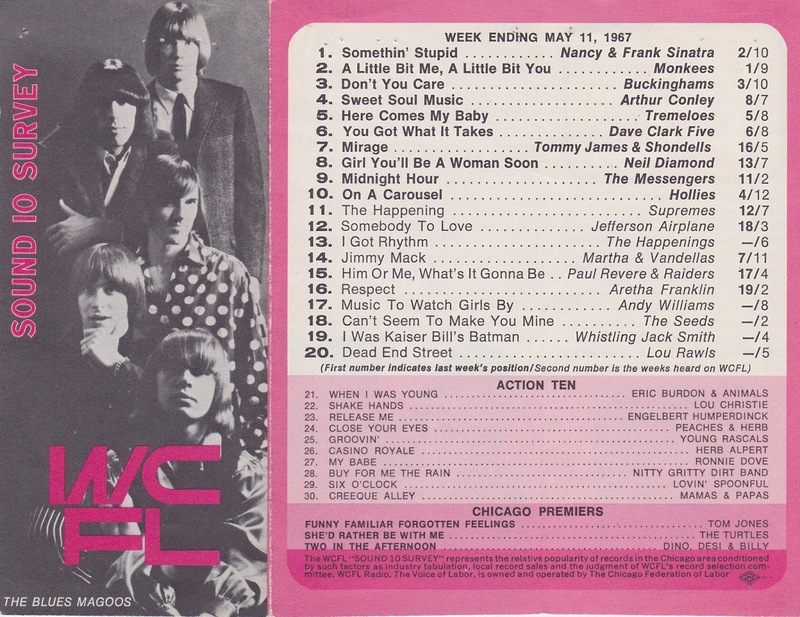 Right behind them are The Dave Clark Five, up four places from #12 to #8 with "You Got What It Takes", followed by "I'm A Man" by The Spencer Davis Group and "Close Your Eyes" by Peaches and Herb, one of the big movers of the week, up from #19 to #10. The Hollies have a bullet for the #11 song, "On A Carousel", up five places from #16, as do "I Got Rhythm" by The Happenings" (#25 to #14), "Girl, You'll Be A Woman Soon" by Neil Diamond (#23 to #15), "Friday On My Mind" by The Easybeats (#22 to #17), "Groovin'", which takes a HUGE leap from #48 to #19 and "When I Was Young" by Eric Burdon and the Animals, the #20 record, up from #26. 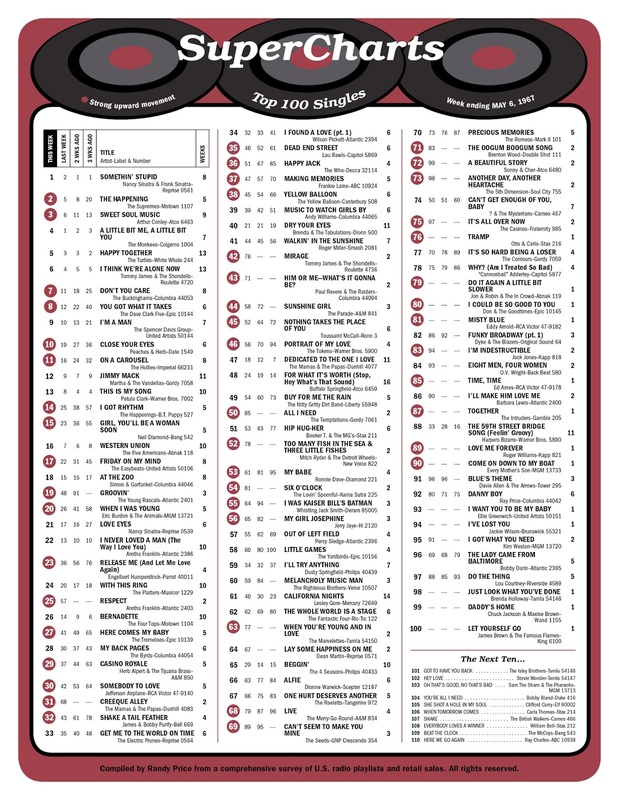 Other big movers within The Top 40 include "Release Me" by newcomer Engelbert Humperdinck (#36 to #23), "Respect" by Aretha Franklin (up 32 places from #57 to #25), "Here Comes My Baby" by The Tremeloes (#41 to #27), "Casino Royale by Herb Alpert and the Tijuana Brass (#37 to #29), "Somebody To Love" by Jefferson Airplane (up from #42 to #30), the autobiographical "Creeque Alley" by The Mamas and the Papas (another huge leap from #68 to #31), "Shake A Tail Feather" by James and Bobby Purify (#43 to #32), "Dead End Street" by Lou Rawls (#46 to #35), "Happy Jack" by The Who (#51 to #36), "Making Memories" by Frankie Laine (#47 to #37) and "Yellow Balloon" by The Yellow Balloon, which jumps from #45 to #38. "More Of The Monkees" holds at #1 on the album chart for the 13th straight week. This year's Emmy Nominations are announced and The Monkees are up for two awards … Outstanding Comedy Series and Outstanding Directorial Achievement in Comedy. That afternoon Peter Tork's buddy Stephen Stills sits in on a Monkees recording session. Stills, you may recall, originally auditioned for a role in The Monkees television series but was passed over because he had "bad teeth". So, he went back to The Village and told his buddy Peter Tork to try out for the role, as they both had a similar look. Tork (with evidently better dental hygiene) landed the role. The marriage license, obtained at 3:30 that morning at The Clark County Courthouse, cost $15. 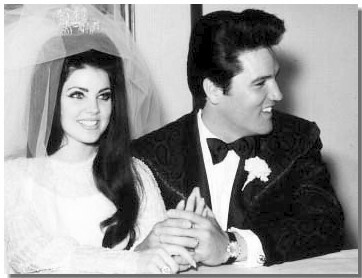 However Elvis spent $4000 on Priscilla's wedding ring, a three karat diamond surrounded by twenty smaller diamonds. A press conference is held after the ceremony. The couple will spend two days in Palm Springs before returning home to Memphis on May 4th. 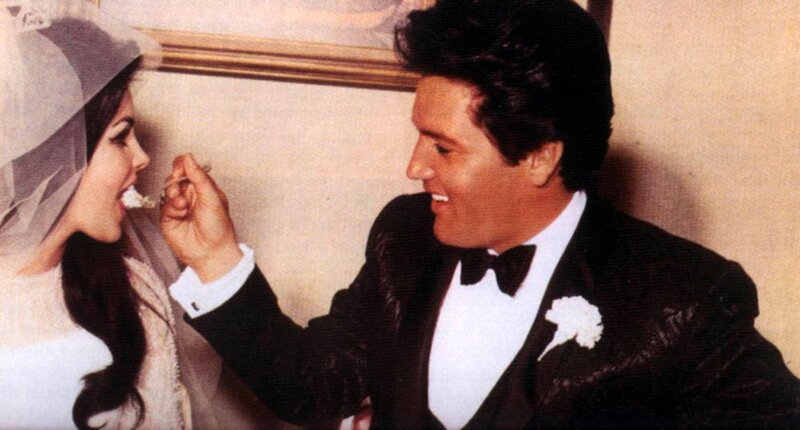 The two met when Presley was stationed in Germany in 1959 and Priscilla was just 14 years old. 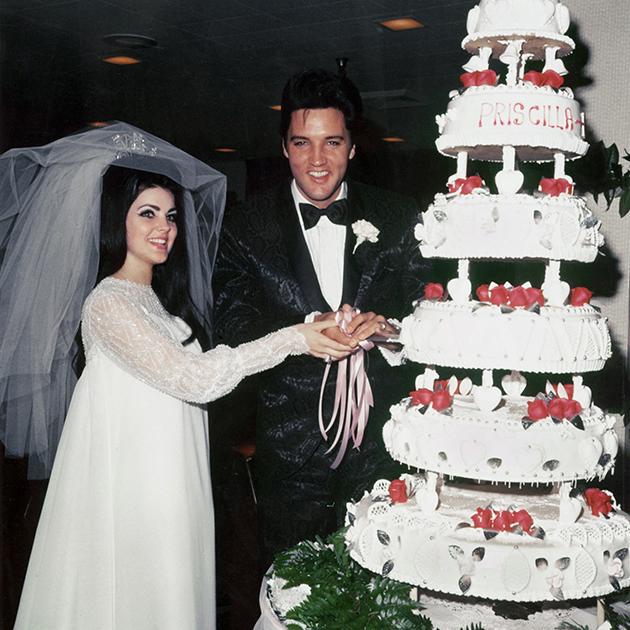 When Elvis completed his Army service, Priscilla moved to Elvis' Graceland mansion in Memphis with her family's full blessing. 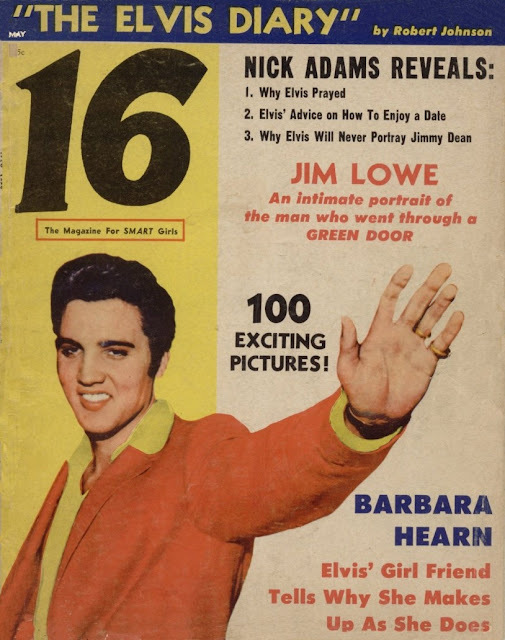 Ironically exactly ten years earlier, to the day, Elvis appeared on the cover of the very first "16" Magazine. 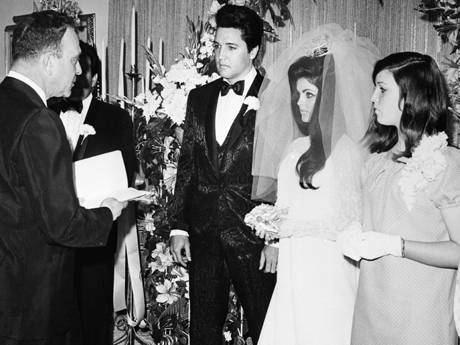 The marriage lasted six years, during which time they had one daughter, Lisa Marie. Guest on this week's edition of The Smothers Brothers Comedy Hour include Nancy and Frank Sinatra, Jr.
For the record, it has only happened one other time in Major League Baseball History, almost exactly three years earlier when Ken Johnson of the then Houston Colt 45's pitched a no hitter against the Cincinnati Reds and still lost the game, 1-0 on April 23, 1964.